Still of Jane and Viral (Lynn Mancinelli and Audria Ayers) in Gorman Bechard’s film Broken Side of Time. Photo by Gorman Bechard. Gorman Bechard is the director of 12 feature films, including A Dog Named Gucci, Color Me Obsessed, Broken Side of Time, Psychos in Love, and Friends (with benefits) and has also written six novels, including the religious satire The Second Greatest Story Ever Told. He is currently in production on three new features, all documentaries, including Normal Valid Lives which is currently being funded on Seed&Spark. Hopefully we can all agree that all great art is about passion. Passion for what you’re doing, passion for your subject, a passion burning inside you, one that if you weren’t allow to express, well, you might just die. And while I agreed a film about either of those rock acts would sell more than my documentaries about The Replacements, Archers of Loaf, Hüsker Dü’s Grant Hart, or my upcoming film on Lydia Loveless, I explained that I could never do a film about either of those artists because I detest their music. And sure, yes, making films is my job. Thus the title “filmmaker.” However, there’s a lot more to it than that. Taryn Welker, Lydia Loveless, director Gorman Bechard, and Scott Hudson shooting the film Who Is Lydia Loveless? Photo by Jay Smales. As a filmmaker, especially one working on a micro budget, you live with your film from conception to years after it’s distributed. I have an indie film I began 11 years ago, and I’m still managing deliverables on it. It’s like a child, you watch it grow, develop, step out into the world, and become accepted or not. You watch it age. But you never stop loving it, feeling for it, wanting it around. Sure, it might piss you off at times. But you’re forgiving, and as the filmmaking parent, you hopefully show it the way. I know this from experience. A few too many jobs taking the big Hollywood check. A few scripting assignments. One directing gig. I look back and realize that as much as I tried to put my everything into these projects, something was missing. And all the cash in the world could not ignite the passion I needed to make them special. Were they good, well written, well directed? Yes, I think so. I did my “job.” But did they have the brutal honesty in every frame of my Replacements documentary, Color Me Obsessed, or my $15,000 narrative feature Broken Side of Time? No. How could they? 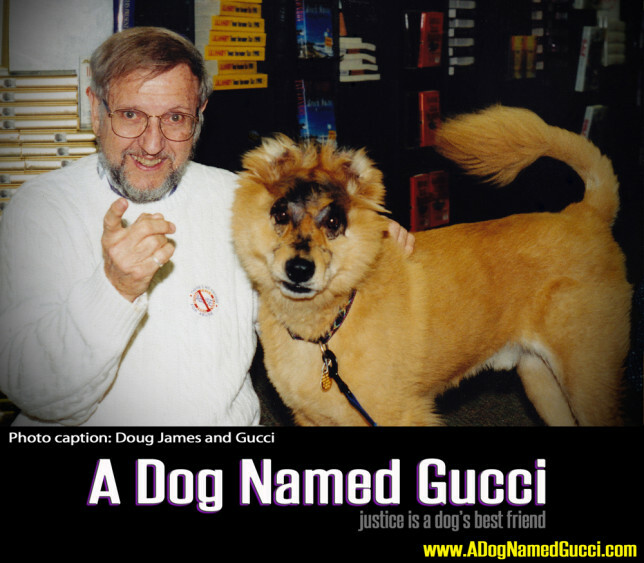 Take, for instance, my most recently completed film, A Dog Named Gucci, which looks at animal abuse in the US. This film grew out of a love for our own rescue dogs, and the need to do more with my craft. The need to try and make the world a better place, not only for dogs, but for humans as well. I’ve watched people sob at the few test screenings, and then thank me for opening their eyes. The film works because of the passion I threw into every frame, the tears I shed watching it over and over again, until I knew it was just right. A Dog Named Gucci press photo 3: Doug James and Gucci. That passion is most certainly present in the two films I am shooting this summer. The first, Who Is Lydia Loveless?, looks at a young singer/songwriter and her band as they record their fourth record. Lydia is to me the future of rock and roll. She is authentic and beautifully loud. Her music makes me feel so alive that it usually brings me to tears. And I know that passion will serve the film well. On the last day of editing, I begin to cry yet again, realizing it was time to send this film out into the world. My weird example of empty nest syndrome perhaps. The other film, Normal Valid Lives, which I am currently funding on Seed&Spark, deals with a horrible case of LGBT bullying in a school district north of Minneapolis. Just as with A Dog Named Gucci, I hope this film can open eyes as to just how prevalent and dangerous bullying is. I was bullied. My wife was bullied. My sister. Virtually everyone I know was bullied by people who got off on hurting those different than they were. I got called endless names because in high school in 1974 I listened to David Bowie. So, yes, there’s a passion here to answer back. There’s a passion here to slap the bullies in the face. There’s probably a passion to do a lot more than that for every person who’s been hurt, for every bullied child who took their own life. I do believe films have the potential to change the world, to educate, to advocate, to preserve. But for a filmmaker to ever try and achieve those goals without a passion for their subject burning in their soul is beyond my scope of comprehension. So, no, I will never make a documentary on Van Halen or Dave Matthews or a million other bands I could care less about. I will never make a documentary about golf, or the history of the razor blade. But I do promise that any film that bears my directorial signature will come from my heart and soul. It will open your eyes, and if you allow it, it might just rock your world. And you just might find yourself with a new passion. Seed&Spark is a crowdfunding platform for filmmakers that is creating a lush ecosystem for truly independent cinema. Seed&Spark’s fair trade model provides a unique experience for filmmakers and audiences alike in that it focuses on the symbiotic relationship between both parties. 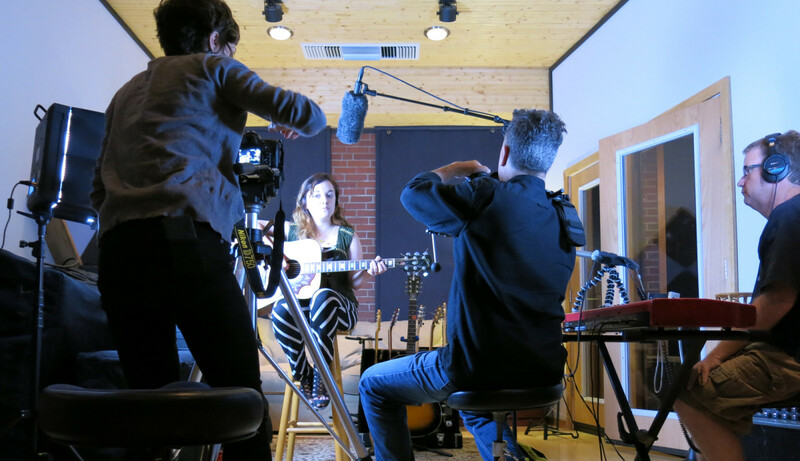 Through a media partnership with Pyragraph, filmmakers currently crowdfunding their films through Seed&Spark are sharing their experiences and lessons learned. Join them in building a fair trade filmmaking movement.